Pete and Joan jam in a Prague pub with Peter Ruby and a host of fine Czech pickers. Pete and Russian bands jam on a train, and at first Russian Bluegrass Festival in Vologda. Martin Gilmore's new song, I'm Headed Back to Dixieland is big fun to play with Long Road Home. Twin banjos at Banjo Camp... how it's done! Pete with Australian picker Wendy Holman. At the Relix Magazine offices in lower Manhattan. Nov. 4, 2010. NPR show from WV, Nov. 2010, report w. live music, Tim O'Brien interview. News Feature Channel 9, Denver. 3-minute report shows Pete at his practice cabin and with FLEXIGRASS. Channel 2 Denver report by Tony Whaley. Music, band mbr interviews. Sept. 05 Historic 5-banjo Foggy Mt. Breakdown, Men With Banjos (Who Know How to Use Them) w. Tony Ellis & Charles Wood. All-Star Tribute to Earl, Doc, Everett Lilly & Doug Dillard. Grey Fox 2012. 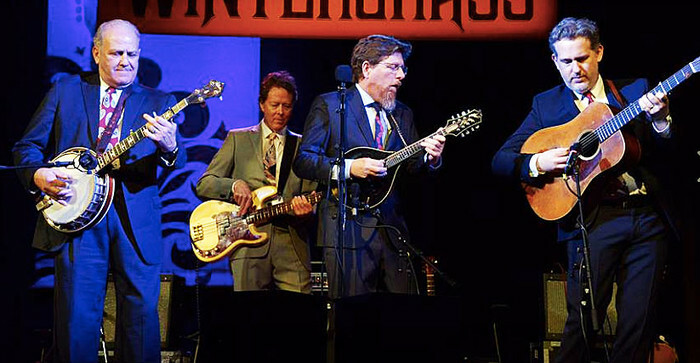 Pete with Jerry Douglas, Jack Lawrence, Tim O'Brien, and T. Michael Coleman. First time Scruggs-style banjo was played live on Danish TV! The famed Tivoli Gardens is in the background. Pete will be sharing some of his most-requested solos free, right here on DrBanjo.com. The song can be found on the new Hot Rize album "When I'm Free." Get the tab here. Pete's Tab Archive Now Online! For the first time ever, over 240 solos by Pete on Hot Rize and Country Cooking albums -- since 1971 -- are now online for download. Includes the new Hot Rize album! Click for details. Jam Class video! 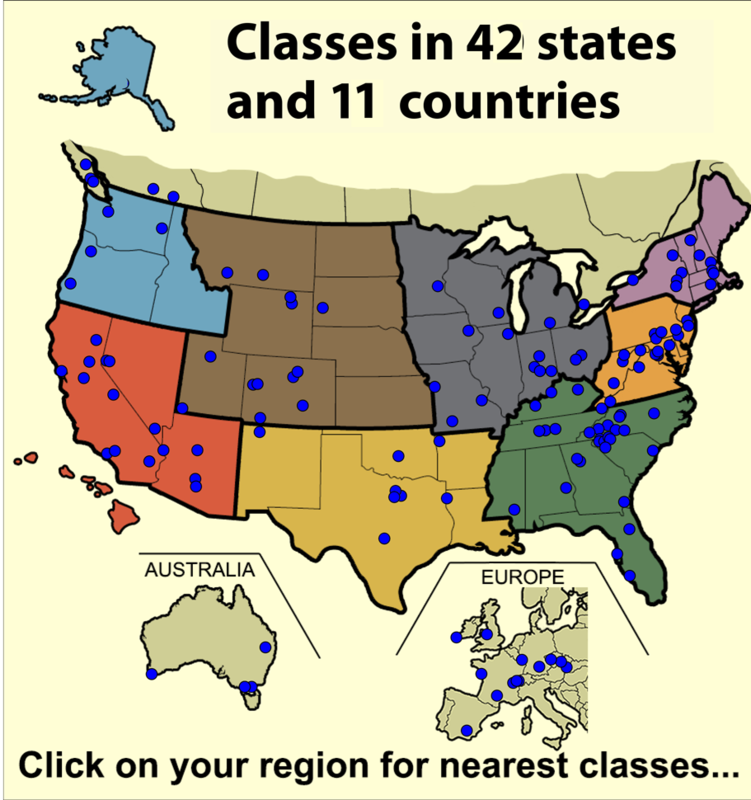 Watch a Wernick Method class, and hear what the students and teacher say! Thanks Fred Boettger, for a fun 4-minute report. 7 years of Pete's Banjo Newsletter columns! now complete from January 2007 through January of 2014. All jammers need to know how to "read" guitar chords. Click here for clear photos of the most common ones. Pete featured in Bluegrass Today! Pete and Joan weather tsunami threat! What The Wins IBMA CD Design Award! Pete and Joan on Mars! FREE with any DVD order! Forty-one years to the day after their first gig, Jan. 18-19 1978 at the Hungry Farmer in Boulder, Hot Rize returned to their current home base, the Boulder Theater. Their special guest: bluegrass music's most awarded fiddler, the amazing Michael Cleveland. The band's Hot Rize 40th Anniversary Bash, released on both CD and a 2-LP set last summer, rode the Billboard bluegrass chart for over 3 months. It's available in the Store of this site as well as at hotrize.com. Click here for promo video for the album. The band will be pausing for the rest of the year while Tim stays busy promoting his new album.